Few things in life can compare with the joy of strolling through an English country garden at the height of summer, when roses, sweet peas and clouds of azaleas are all spectacularly on show. This exclusive four-day trip features private visits to world-class gardens in Kent and Sussex, plus two special events hosted by the inspirational Sarah Raven. Anyone with a passion for gardens and gardening will delight in the itinerary. Highlights include the shrubs and perennials of Great Comp Garden, Scotney Castle, magnificent Lullingstone Castle, the roses and lavender of Pashley Manor, another classic English garden at Great Dixter, the superb nursery at Marchants Hardy Plants (seen on the BBC's Flying Gardener series) and the stunning herbaceous borders at Parham House. 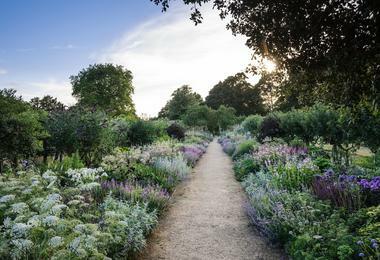 What's more, you will also have the chance to meet Sarah Raven and join her for private talks and a flower-arranging masterclass during a special event at her own garden, Perch Hill, plus an exclusive dinner at Sissinghurst, one of the best and most admired flower gardens in the world. You will enjoy a three-course dinner at Sissinghurst, the famous Kent garden created by the writers Vita Sackville-West and Harold Nicolson in the 1930s. Once it has closed to the public, you can have a glass of sparkling English wine on the Tower lawn and listen to a talk about Sissinghurst's family history from one of the grandchildren of Vita and Harold, before Sarah Raven tells the fascinating story of the famous gardens. 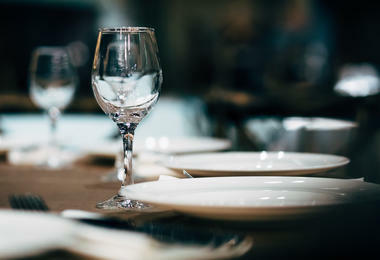 You will then have the chance to explore at your leisure before ending your evening with a three-course dinner cooked by Sarah's chefs and featuring her own recipes. The following day sees a trip to glorious Scotney Castle, then on to Sarah's garden at Perch Hill, where, during a private afternoon event, she will give a special talk, telling the story of Perch Hill's 25-year transformation from a ramshackle former dairy farm into 2.5 acres dedicated to flowers and inspirational gardens. After afternoon tea, you will enjoy a flower-arranging demonstration by Sarah, a veg and salad tasting and a tour of the gardens. Each day of this holiday will bring magnificent places for you to explore - from the beautiful seven-acre Great Comp Garden and the historic manor house and garden at Lullingstone Castle, which dates back to the time of the Domesday Book, to garden writer Christopher Lloyd's celebrated English country garden at Great Dixter and the magical four-acre walled garden at Parham House. You will be staying throughout at the four-star George in Rye Hotel. 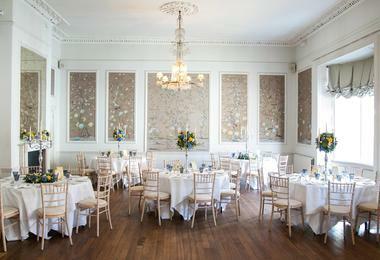 This stylishly renovated hotel is ideally located at the heart of the charming town, and boasts its very own Georgian ballroom. 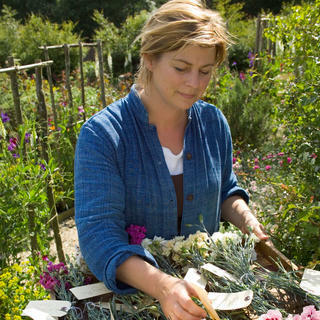 Sarah Raven is a garden designer and teacher who has run cooking, flower arranging, growing and gardening courses at her farm in East Sussex, Perch Hill, for 20 years. Her gardening and cookery books have won her a number of awards including Best Specialist Gardening Book and Cookery Book of the Year. As well as writing for Country Living, Sarah has contributed to other publications such as Gardens Illustrated, Gardeners' World Magazine, The English Garden and Sainsbury's Magazine, among others. Sarah has presented on BBC Gardeners' World as well as presenting her own BBC2 series Bees, Butterflies and Blooms, aiming to encourage the nation to cultivate flowers in order to increase insect habitat and food supply. Her many contributions to national gardening and cooking have shaped her career as an expert gardener and a grand teacher of her trade. * Based on two sharing a room. Single rooms are available on request at a supplement and subject to availability. Timings of Sarah’s events are subject to change and there may be slight alterations to the itinerary due to operational restrictions. We depart from our pick-up points in London and Gatwick and head towards Kent and our first visit, Great Comp Garden - a beautiful seven-acre garden with many beautiful and rare shrubs, perennials and other hardy plants. This Kent garden is a plantsman's haven. The year starts with Helleborus, followed by magnolias, rhododendrons and azaleas, then the remainder of the year follows with rare and exotic shrubs and perennial plants such as the huge collection of Salvias. There are areas of formal and informal plantings linked with meandering grass paths and ruins homing in on an Italian Garden. From here we continue to the magnificent Lullingstone Castle. A historic family mansion dating back to the time of Domesday, frequented by Henry VIII and Queen Anne, the manor house and garden are set in the beautiful Darent Valley. The garden was designed by horticulturist Tom Hart Dyke, a modern day plant hunter who follows in the traditions of plant hunters who used to risk their lives and limbs in pursuit of fantastic blooms and plants. Tom was kidnapped by suspected Colombian Guerrillas for nine months in 2000 whilst hunting for rare orchids. On his release he created the World Garden of Plants, which he continues to grow and build each year adding rare and important botanical plants to its collection. We continue to our hotel, the 4-star George in Rye Hotel, Rye. Dinner will be served in the evening. This morning, after breakfast, we will set off for the gardens at Pashley Manor, an award-winning, quintessential English Garden on the Kent/Sussex border which offers a sumptuous blend of romantic landscaping, imaginative plantings and fine old trees, fountains, springs and large ponds. The roses and lavender should be at their fragrant peak at this time of year. We continue to another classic English Country Garden - Great Dixter. The distinguished garden writer Christopher Lloyd (who died in January 2006 at the aged of 84) was the genius behind Great Dixter, with its timbered 15th century house. Restored by Edwin Lutyens who also planned the garden, Mr Lloyd has firmly put his lively stamp on it. A recent experiment involved installing a summer tropical garden rich in bold shapes and brilliant colours. No gardener could come to Great Dixter without making discoveries and rekindling a zest for gardening. 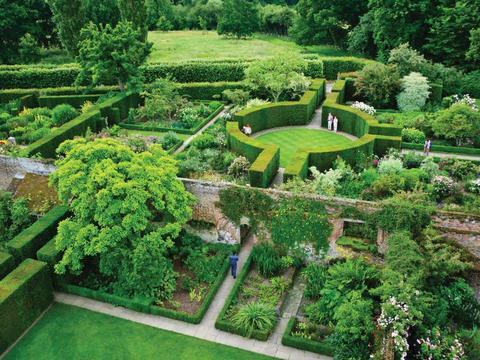 This evening we have a treat in store as we transfer to the magnificently manicured gardens of Sissinghurst. This famous garden was created by Vita Sackville-West and Harold Nicolson from 1930 onwards and became the most admired English Garden of its time. Few great gardens live up to their reputations so effortlessly as this. Sissinghurst is a large connoisseurs' garden consisting of a series of small romantic areas enclosed by the surviving parts of an Elizabethan mansion. It never disappoints its visitors, it has the power of enchantment, but it is also an unending source of inspiration for all gardeners. Sissinghurst is surely as close to gardening perfection as you can get, and it continues to be one of the most-copied flower gardens in the world. Exclusive Event: Our visit begins at 6pm (after the garden has shut to the public) with a glass of Chapel Down sparkling English wine served on the Tower lawn. Sitting on the Tower steps we will then enjoy a talk on the family history with one of Vita Sackville-West and Harold Nicolson's grandchildren, followed by a talk on the history of the garden and Vita's garden style from the well-known gardener, cook, writer and broadcaster Sarah Raven. We then have an hour or so to explore the garden at leisure before we make our way to the restaurant and enjoy a three-course dinner with wine, featuring Sarah's recipes. Our coach will return us to the hotel after dinner. 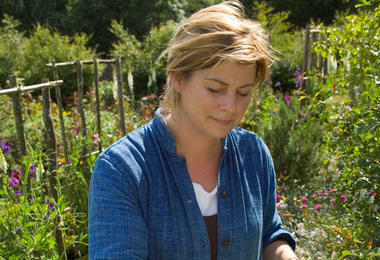 This afternoon we visit Sarah Raven's own garden, Perch Hill. Sarah and Adam Nicolson moved to Perch Hill 25 years ago from London. They found a rather ramshackle ex-dairy farm with a lot of concrete, corrugated iron and not much else. Since then, they have converted the farm to an organic 90 acres, 2.5 acres of which forms the gardens, including a cutting garden where new seed and plant varieties are trialled and produce is grown to supply the school kitchen, flowers for the house and to inform what is to be included in Sarah's online plant nursery catalogues. 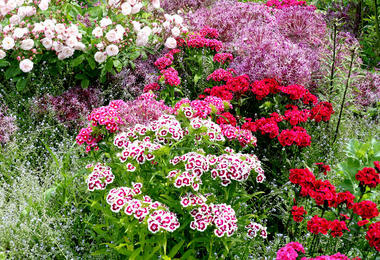 The constant supply of favourite flowers comes from the two large cutting gardens. The original one is used mainly to trial perennials for picking and the annual cutting garden beside it has beds filled with crops of hardy and half-hardy annuals and biennials that change through the calendar year. There are also two purely ornamental gardens at Perch Hill, not dedicated to harvesting - the Oast garden with an extravagant mix of colour and structure and the front farmhouse garden, which is designed to have a calmer feel. Exclusive event: On arrival we are welcomed by Sarah Raven who will introduce us to the garden. After tea/coffee and cake Sarah will give us a talk on her 25 years at Perch Hill followed by a practical demonstration on flower arranging, including the cut-and-come-again philosophy with rules for colour combination and conditioning tips to make the garden picked flowers last as long as possible, along with tastings of vegetables and salads from the garden. This morning after breakfast we will leave the hotel and head for Marchants Hardy Plants at Ripe, near Lewes. The garden is not large but it is well designed and diversely planted and has gained much attention over the years, having appeared in major periodicals and papers as well as on BBC TV's "Flying Gardener" series. The nursery has gained recognition as one of the leading small nurseries in the country with an excellent range of herbaceous perennials and ornamental grasses - a chance to pick up a lasting souvenir of your holiday. Our final visit take us to Parham House and its award-winning gardens. It was featured in Simon Jenkin's England's Thousand Best Houses, where he wrote that "nothing at Parham is superfluous, nothing unloved. It is a house of magic." 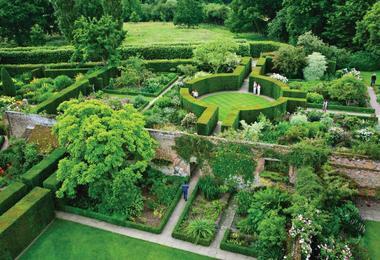 The gardens consist of beautiful Pleasure Grounds and a four-acre Walled Garden. There are stunning herbaceous borders, a glasshouse, vegetable garden, orchard and a 1920s Wendy House. A nursery and shop provides a final retail opportunity before we return to our original pick-up points in the late afternoon. 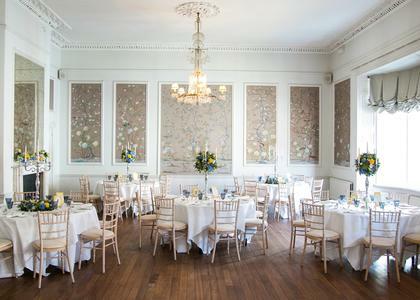 The four-star George in Rye Hotel has been stylishly renovated, but still retains its historic grandeur, for exaple boasting its very own Gerogian ballroom. 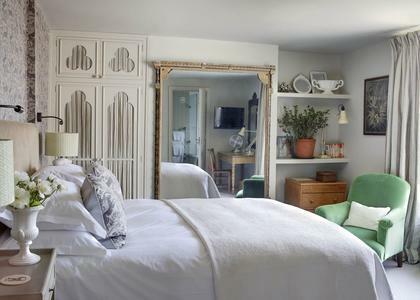 It is ideally located in the heart of the charming town of Rye, East Sussex, and its enviable heritage - the building dates from 1575- gives this hotel a charming historic feel, equipped with modern-day comforts.